The Vikings had the offensive linemen available they wanted for last night’s game against the Bears in Chicago where first place in the NFC North was on the line. Health has been an issue this fall but last night the Vikings started tackles Riley Reiff and Brian O’Neill, guards Tom Compton and Mike Remmers, and center Pat Elflein. The result? Not so good. 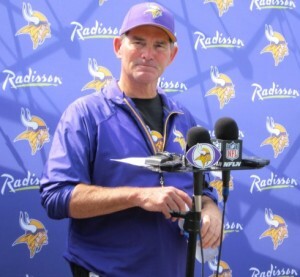 “We couldn’t run the ball worth a lick,” Vikings head coach Mike Zimmer said on KFXN-FM after the game. Minnesota had 22 net yards rushing in the 25-20 loss that sent the Vikings 1.5 games behind Chicago in the division race. The team’s leading rusher was Dalvin Cook with 12 yards. The offensive line, scrutinized and criticized for years, had minimal push in trying to move a Chicago defensive line and linebackers that are among the best in the NFL. Those defenders also created pressure on Minnesota quarterback Kirk Cousins when he tried to pass, which was most of the time. Give the Vikings credit for making adjustments that gave them a chance after trailing 14-0 at halftime. The Vikings were able to contain scrambling quarterback Mitch Trubisky in the second half after he did a reasonable impression of Minnesota legend Fran Tarkenton during the first two quarters. The Vikings went to a no huddle offense that slowed the Bears pass rush in the second half and was a major factor in Minnesota scoring 22 points. The Vikings’ defense did enough, including causing turnovers, to turn the game’s outcome in Minnesota’s favor. The offense certainly did not and was unable to respond to opportunities. Among the most glaring failures were Cousins missing a wide open Stefon Diggs for a first quarter touchdown, and throwing a second half interception returned for a touchdown. The Vikings, 5-4-1, haven’t defeated a team with a winning record this season including Chicago at 7-3. There are six games remaining on Minnesota’s schedule including two against teams with winning records—the 7-3 Patriots next month and a season ending rematch with the Bears. The other opponents are at .500 or near that mark. Gophers senior linebacker Blake Cashman was named the Big Ten’s Co-Defensive Player of the Week this morning. His 20 tackles in Saturday’s loss to Northwestern was not only a TCF Bank Stadium record but the most in a Big Ten regular season game since 2013. Before Saturday’s Minnesota-Northwestern game at TCF Bank Stadium a street vendor was hoping to sell tickets at $15 each on face value tickets about four times that amount. He was thinking about asking $5 each for the 11 a.m. game where the temperature was 23 degrees at kickoff—the fifth lowest in the stadium’s history. The announced attendance of 32,134 was the second lowest since the facility opened in 2009. Minnesota announced a crowd of 31,068 for the Purdue game on November 10. Two Sports Headliners sources reported actual attendance was 14,000 to 15,000. If so, it’s certain the actual attendance for last Saturday’s game was similar. 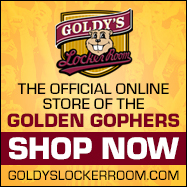 There’s no question cold and rain have made Minnesota home attendance less in recent seasons than if the Gophers played indoors like they did for more than 25 years in the Metrodome. I asked athletic director Mark Coyle last week if he might consider scheduling the last game of the home schedule at U.S. Bank Stadium in future years. Jax Café, the Northeast restaurant operating since 1933, was not running buses to the last two Gophers games because of too few customers, according to a sportswriter who has used the service. For several months Gophers fans were excited to have Jason Bargy as the program’s only four-star recruit in coach P.J. Fleck’s 2019 recruiting class. Bargy, though, quit his high school team this fall and has academic issues that could have prevented him from qualifying for entrance to Minnesota, according to recruiting authority Ryan Burns. News reports also have Bargy involved with a domestic battery charge. Bargy won’t be coming to Minnesota. With football National Signing Day next month, the Gophers are under pressure to find another quality defensive lineman like Bargy, who has been listed among the best players in Illinois. Burns, publisher of Gopherillustrated, told Sports Headliners the Gophers are talking to potential replacements including Darius Robinson from Michigan and Rashad Cheney from Georgia. Cheney is a four-star recruit who has turned down Alabama and Georgia. Among interested schools Minnesota will have to beat, Burns believes, are Mississippi and Penn State. “I think Minnesota has a legitimate shot,” Burns said. Not sure what it says about Les Miles who won a national title at LSU but needed almost two years to land another head job. I am told he aggressively pursued the Gophers’ football coaching job after Tracy Claeys was fired in late December of 2016 and now he is the new head coach at football-pitiful Kansas. Give Gophers coach Richard Pitino credit for switching to a second half zone defense to help his team win last night’s late game against Texas A&M, 69-64. The Aggies were too easily driving to the basket for scores before Minnesota went to the zone, a defense seldom used by Pitino. Matthew Hurt, the class of 2018 five-star Rochester basketball recruit, reportedly will wait until next year to choose his college destination but a source I respect believes Kansas is the front-runner. The Twins may have made MLB history in hiring a coach directly from a college position, with no previous big league experience. The hiring of new pitching coach Wes Johnson from Arkansas is a Twins’ franchise first. With front office bosses Derek Falvey and Thad Levine around, it’s a good guess that ex-manager Paul Molitor didn’t have full authority over who he hired as coaches. Maybe new manager Rocco Baldelli is in that spot, too. If Joe Mauer had decided to play one more season, he could have provided a 2019 Twins marketing theme for selling tickets. A farewell season for the Minnesota native would have appealed to season and single game ticket buyers. Interested in a Christmas gift suggestion? 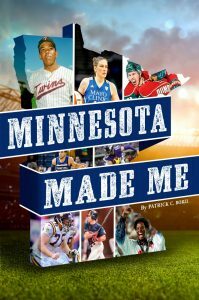 Twin Cities-based freelance writer Patrick Borzi, with bylines that include the New York Times, offers a fun read in his new book, Minnesota Made Me—a sports anthology with bios of 38 Minnesota athletes (32 are still alive). The theme: How growing up or living in Minnesota shaped them as athletes and people. Borzi, who is married to Star Tribune sportswriter Rachel Blount, interviewed all the subjects in his book including Minnesota natives like Matt Birk, Tyus Jones, Adam Thielen and Lindsay Whalen, and other fan favorites such as Lou Nanne and Tony Oliva who flourished in the state after coming here. 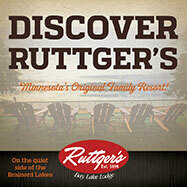 There are recurring values written about in the book including strong Minnesota character. You read about Thielen using his initial pro football earnings to pay off his student loans, or Whalen’s work ethic including rising before 6 a.m. in her hometown of Hutchinson. The foreword of the 296-page paperback is written by Sid Hartman, the soon to be 99-year-old Star Tribune columnist who probably would tell you he is “close personal friends” with most of those profiled by Borzi. “Growing up here toughened me up and helped me survive all these years in a very tough business,” Hartman wrote. I can look forward to next year's football team after the last 3 games this fall. What a great turn around.Extend his (P.J. Fleck) contract for another year!